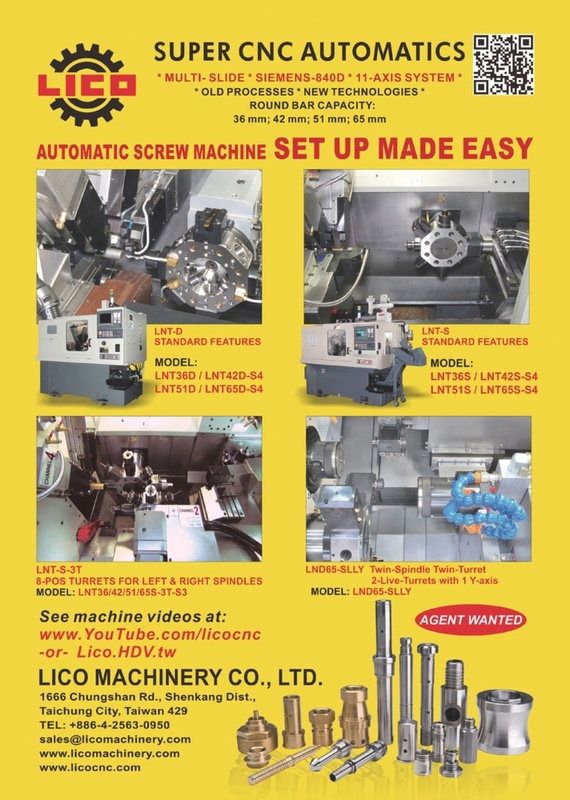 LICO Machinery Co., Ltd., established in 1978 under the leadership of president Mr. Hank Lin, is well known for manufactruing turning machines ranging from industrial cam operated single spindle automatic lathes to technical CNC turning centers. These machines are designed for the metalworking sector and have been adapted by various industries such as aviation, vehicles, computers, plumbing fittings, optical intruments and others. Today , LICO lathes become popular across the world thanks to in-house staff and satellite-contractors working in harmony with the management board. 1978 LICO machinery co. was founded on Sep. 3, in Taoyuan by Hank Lin, Ray Cheng, Vic Lin, Knoll Chiu and other partners. 1981 LICO first exported single spindle automatic lathe to America and Japan. 1984 LICO attended Mex 1984 machine show at Kuala Lumpur, Malaysia, and set-up a sales net in the South-East Asian market. 1990 LICO invested and set-up a new company in the Tai-Chung Export Processing Zone (Taiwan)--Likon Machinery Co., Ltd. LICO invested and set-up a new company with LIPO in Texas, U.S.A. --Lipoco Enterprises Inc. to produce automobile parts and sales for the American market. LICO started to develop CNC machines, the first project was the "CNC Multi-Slide Automatic Bar Machine". 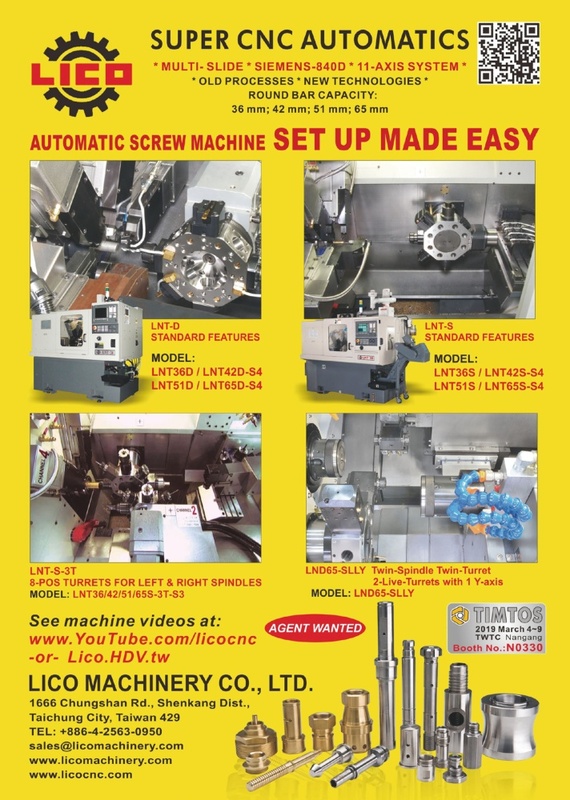 1993 LICO developed multi-slide LNT-42 CNC Lathe and got the prize of "It's Very Well Made In Taiwan" No.1. Got the patent from Taiwan, Mainland China and Germany. 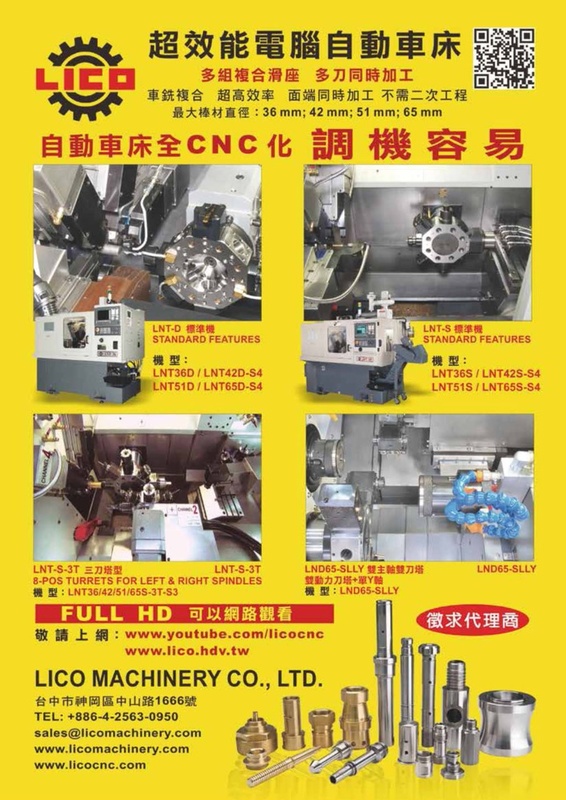 1994 LICO developed LA32H Cam Automatic Lathe and got the prize of "It's Very Well Made In Taiwan" No.1. 1996 LICO was passed the international quality assurance licence of ISO-9000. 2001 The CE Mark approved by Amtriveritas in the UK. 2002 LNE42 awarded the prize of "Innovative Research Award of SMEs" hosted by Taiwan Ministry of Economic Bureau. 2004 LICO developed LNT forged blank with automatic loading complete machining machine. 2005 LICO developed LNC-D automatic bar feeding with 12-position live tools and sub-spindle back machining CNC automatics. 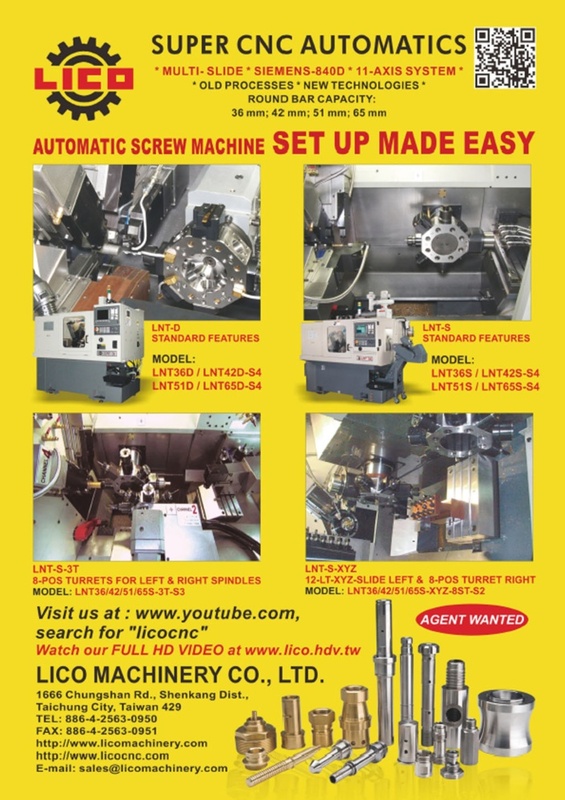 2006 LICO developed compact, affordable head stock sliding CNC automatic lathe for long shaft machining, stainless steel ball valve stem with Y-mill and hand tools with polygonal turning.